Hi, I’m Nancy Collamer, M.S., career coach, author and most importantly, the proud mom of two (now very grown-up) daughters. During the past 15+ years, I've helped hundreds of women create more family-friendly careers paths outside the traditional 9-5 corporate box. My advice has been quoted in dozens of publications including O Magazine, The Wall Street Journal, Better Homes and Gardens, Fortune, Working Mother, MORE, The New York Times, CNN, Time, Money and Redbook. But, as nice as the media has been, nothing has been more satisfying than knowing I’ve helped so many women find novel ways to combine their professional skills and personal interests. Now, I’d like to help you find your best career solutions. So grab a cup of tea, settle in and enjoy all of our resources. I'm so glad you found us! P.S. Now that my own girls are grown, I'm spending more of my time on my other site, MyLifestyleCareer.com. I hope you'll come visit us there -- while the site is geared for boomers, there is lots of inspiration for anyone (not just moms) who wants a lifestyle friendly career! Will I be able to find a job or business opportunity in line with my experience? What is the best way to position myself on my resume and during the job interview? How do I find flexible or family-friendly jobs? Is it possible to find quality work at home professional-level jobs? I've been talking about this forever -- why is it taking me so long to do something about it? For more than a decade, through my private consulting, group presentations and as the online career expert for some of the biggest sites on the Internet (like Oprah Winfrey's Oxygen.com), I’ve had the privilege of interacting with thousands of women, just like you, who are eager to find meaningful work options after staying home with children. Thanks to the success of my clients, I've learned what works and what doesn't, the best ways to navigate around the "landmines" of the job search, and the most important things you need to know to jumpstart your "I'm ready to start earning money again" plans out of neutral and into fast-forward. 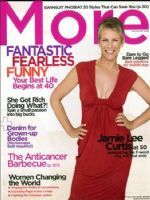 I've enjoyed sharing my success strategies in loads of the big national magazines (here is a link to a fun story I helped with in O Magazine) but until I put this toolkit together, the only way you could access the full range of my "back-to-work" expertise was through my private coaching services. Now, you can take advantage of this invaluable information for a teeny fraction of what it would cost to hire me. Whether you're a mom just beginning to consider your options, a woman looking for quality flexible work, or a mom who is returning to work in the next few months, this toolkit is for you! I invite you to CLICK HERE TO LEARN MORE!